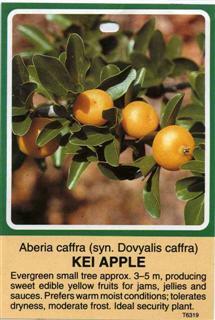 Native to southwest Africa, the Kei apple forms a very drought hardy and salt tolerant shrub or small tree. 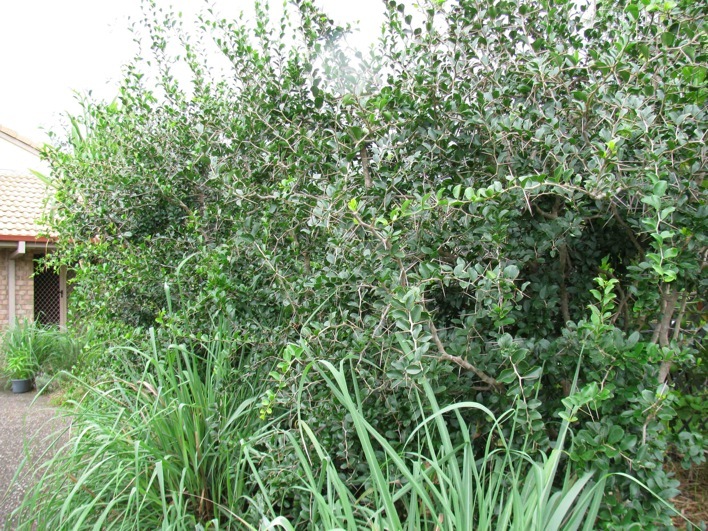 With its large thorns this dense shrub makes a perfect security fence. 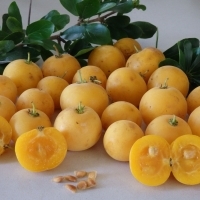 The plum sized golden fruit is aromatic. 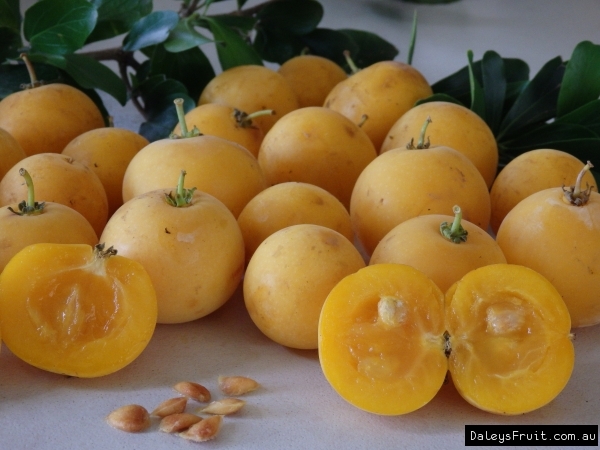 Very sweet and tastes very similar to an apricot but with a much higher juice content. They are an excellent plant to encourage bees as both honey bees and native bees love the flowers. 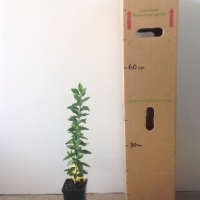 Male and female trees are needed for pollination in order to set fruit if planting seedling trees, plant three or more to increase the chances of having both male and female trees. 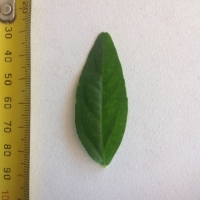 Weed Warning: May seed freely and there are concerns regarding its weed potential. Consider this before planting. Seven in a hedge. The spines are huge! Fruited first December 2011. Fruit is impossible to see until it turns orange and soon after, drops off the plant. 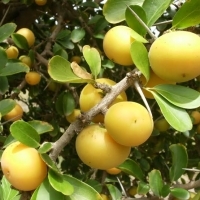 The fruit is surprisingly aromatic and quite tart. I stewed some with sugar, and made some into chutney. Comments: - Testing as a free plant, not too sure if I will ground plant it as male and female needed and may be too time and space consuming to get a pollination pair. Comments: - Grown to help protect cold sensitive plants from frost. Two have been run over by the ride on mower and have reshot. not sure that they are providing any frost protection, but I'm impressed with their staying power.